In recent years, the challenge of defending the rights of dog owners has increased exponentially. Strong, informed, and unified action is essential to counteract the barrage of anti-dog legislation introduced each year on the federal, state and local levels. The American Kennel Club is at the forefront of these efforts. Since its founding in 1884, the American Kennel Club (AKC) has been the leading advocate for purebred dog owners. 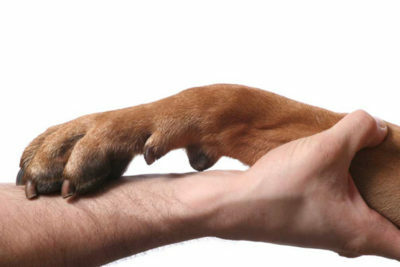 In 1990, the AKC Canine Legislation Department was established to enable the AKC to take a more active role in protecting the rights of all dog owners. Now known as AKC Government Relations (AKC-GR), the department works to preserve our rights to own, exhibit, responsibly breed, and enjoy our dogs. AKC GR fights breed bans, dog ownership limits, excessive licensing fees, breeding restrictions, unreasonable rules and regulations, and other threats to dog owners. AKC-GR educates individuals, lawmakers, and other stakeholders in the legislative and regulatory processes, and provides multi-faceted support to individuals and affiliated dog clubs in a concerted effort to promote reasonable and enforceable policies while combating negative canine legislation. Recognizing federations and owner/breeder organizations that are actively involved in educating legislators and working to preserve the responsible owners and breeders’ rights with The Walter Bebout Award. Honoring lawmakers with The James S. Holt Memorial Award for Promotion of Responsible Dog Ownership in Legislation. Contributions to the CLSF directly support these and similar efforts to support positive canine legislative initiatives, fight anti-dog legislation, and to protect your rights as responsible dog owners—now and for years to come. Please join the fight today. Donate online or by mail (see below). Contributions to the CLSF are not tax deductible.